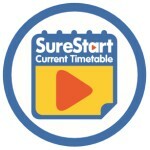 Sure Start Developmental Programme for 2-3 year olds (2019). Limavady and Dungiven. New programmes in Ballykelly, Faughanvale, Drumsurn and Magilligan – January 2019! Health Promoting Homes for Teenagers starting soon!